Finding the perfect gift ideas for kids isn't always as easy as it first seems. Children often have so many toys that it's hard to find a unique and exciting gift for them to enjoy. 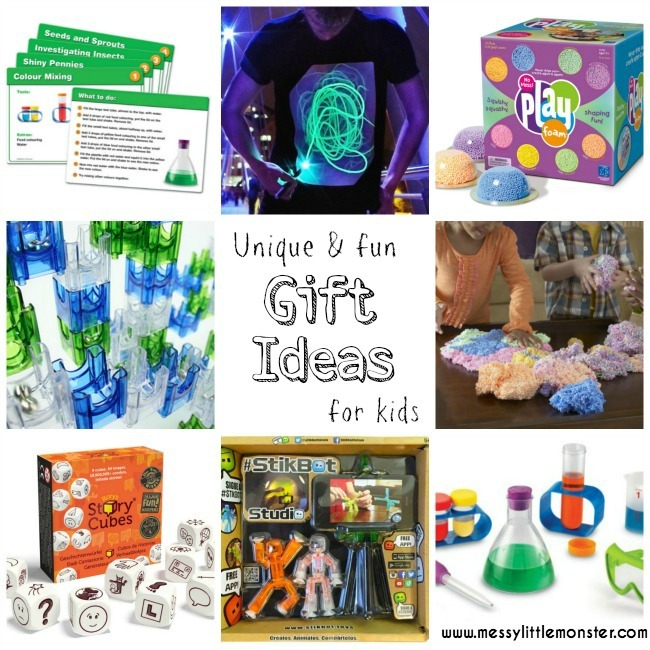 We have found the perfect website for gift ideas, 'Wicked Uncle', a website full of fun, interesting and unusual present ideas for children. They have ideas for children of all ages from babies to teens. The gifts are all reasonably priced too! You might also like our wooden toy gift guide, gift ideas for babies or our DIY gift ideas. Wicked Uncle have gift suggestions for every age and interest and their website is easy to navigate. To find the perfect gift simply click on an age range, whether you are looking for a boy or girl or search by category and a whole list of toys will be suggested. Each gift suggestion is accompanied by several images and often a video so you can see the toy in action. Wicked Uncle have everything from creative gifts to outdoorsy ideas and everything in-between. 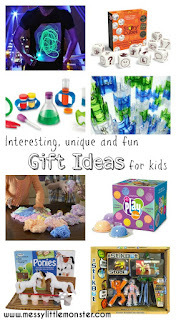 Below we are sharing some fun gift ideas for kids. We have personally ordered, tried and tested all of the toys from Wicked Uncle suggested below. Click on the links to be taken to each gift suggestion on the Wicked Uncle website. Play foam is amazing!!! This is the ultimate creative toy as the play foam can be squished together and shaped however you like. The best bit is that it is totally mess free, it doesn't stick to your hands, clothes or carpet. 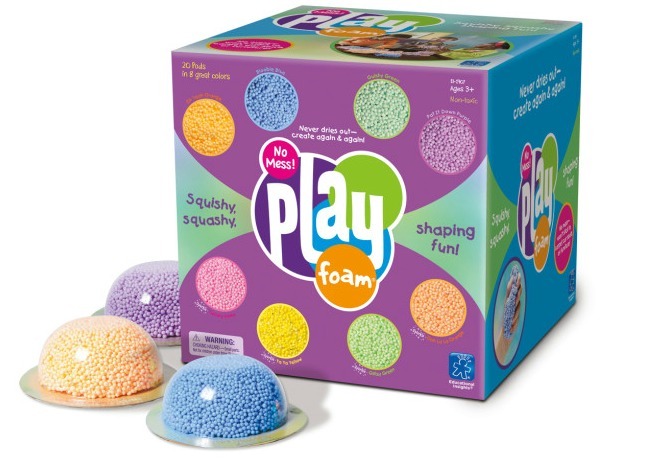 There are 20 pods of play foam in a box and it comes in 8 different colours. We added some googly eyes to our play foam to create some foam monsters. Take a look at our video below. 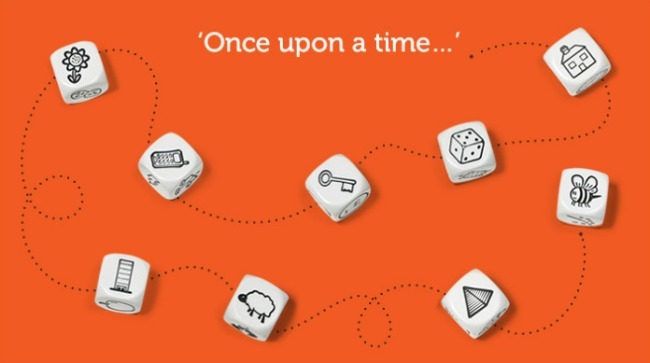 Be creative and make up your own stories using story cubes as a prompt. Each box of story cubes contains 9 dice which have a total of 54 different images on them. The images include anything from a shooting star to a key. Roll the story cubes and use the images to invent your own story. We have been doing this for the last few nights before bed and the stories are getting more and more imaginative. Make your own animation film! 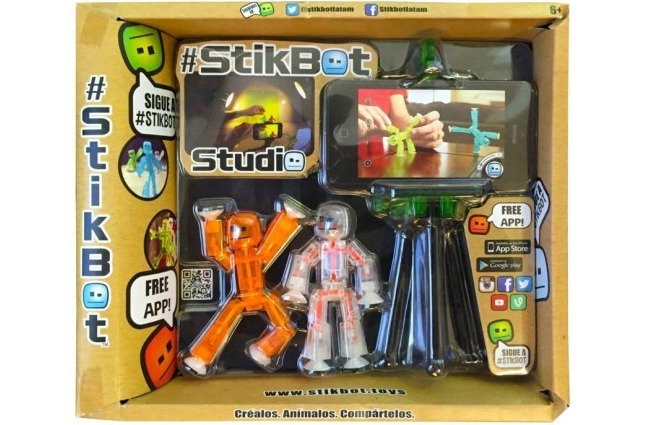 This set includes 2 StikBot figures and a tripod to secure your smartphone. Simply download the free app for iphone and android and shoot your own stop frame animation. This is so much fun and such an original gift idea. The app allows you to add sound effects and makes it easy for you to share your animation. This is the marble run of marble runs. 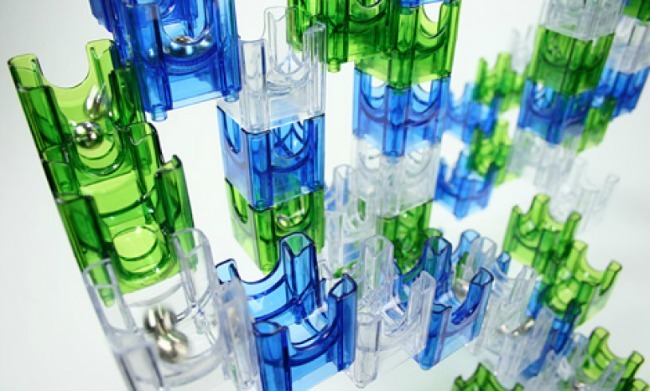 There are 36 cubes in three different colours that can be used to create maze sculptures. Some of the interlocking cubes have a single exit meaning you can direct the marbles where you want them to go, but others have a double exit which makes the marble run a little unpredictable, the steel marbles can go in either direction. Paint your own ponies and build a cardboard stable to use for imaginative small world play. 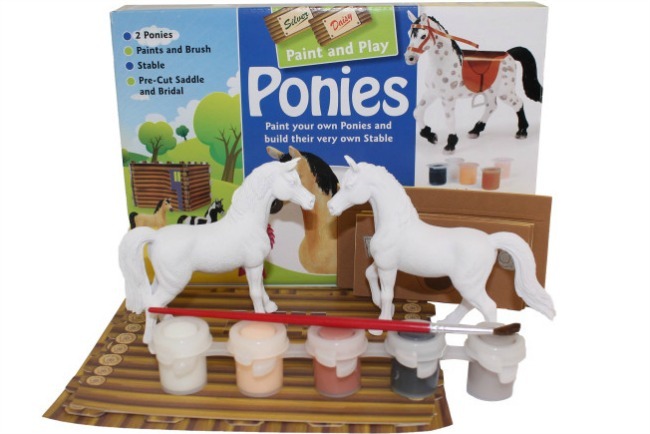 Use the five pots of paint included in this craft set to paint the two ponies. Then get them ready for a bit of show jumping by tacking them up with the cardboard saddles. Young scientists will LOVE this science kit. The kit contains 12 pieces of equipment and a set of large wipeable instruction cards so that young children can learn about colours, insects and reactions. The experiments suggested use simple household items such as baking powder, food colouring and vinegar and the step by step instructions are easy to follow. This set can be used for far more than just science experiments though, its great for working on fine motor skills, creating a potion making station or for playing with in the bath. 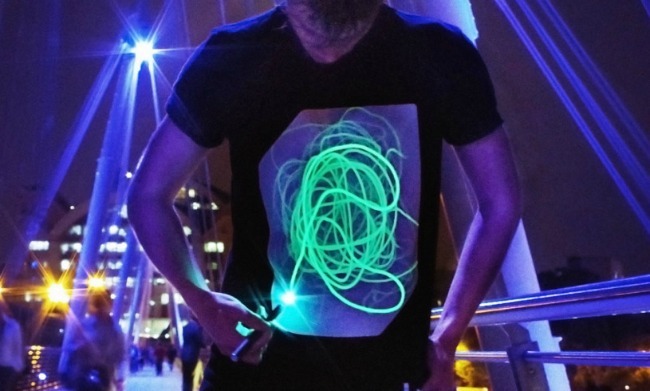 These aren't just your average glow in the dark t-shirts! Use the UV keyring included to draw your own design on the glow panel. Your design will last 5 minutes before it starts fading away so you can do a new design. How much fun would these be to wear for a school disco, party or sleepover. This game is soooo much fun! A cute little bunny sits on top of his burrow surrounded by carrots. Players take it in turns to spin a spinner and to see how many carrots they need to pull out of the field. 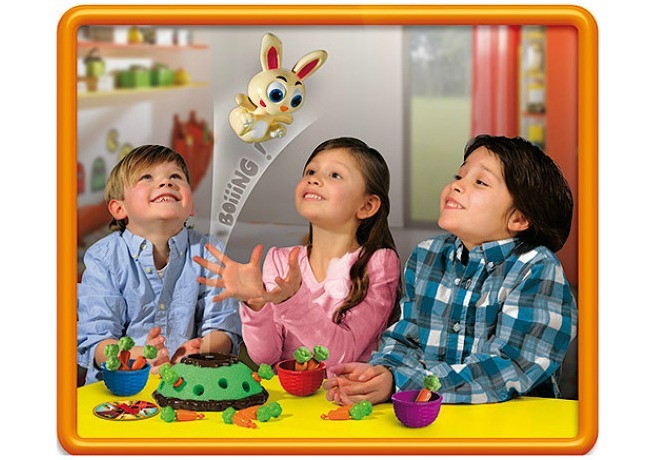 But watch out - one carrot makes the bunny fly into the air and its a race to see who can catch it. This game is so simple that my two year old often gets it out to play alone, but its fun for all the family to play together. This is just a small selection of the great gift ideas Wicked Uncle have to offer. All the gifts on their site look fun and unique and what is even better is that for a small charge they will gift wrap the presents and provide a greeting card. Disclosure - Wicked Uncle sent us the toys we selected in return for this review. All thoughts and opinions are our own. I would recommend all of the toys that we received as well as the service provided by Wicked Uncle.